Convicted former Minister for Finance, Kwame Peprah has instructed his counsel Nana Adjei Ampofo to issue a writ against the government for defamation on allegations that he was involved in a plot to coach convicted serial killer Charles Papa Ebo Quansah while in incarceration at the Nsawam Medium Security Prisons last year. Mr. Ampofo who disclosed this to the Network Herald said he will soon file the writ in order to redeem the image of his client. According to him, Mr. Peprah denied ever meeting Quansah who he apparently claimed he had neither made contact with nor coached to implicate ministers of the present government. “He told me neither he nor any of his colleagues had had any meeting with Quansah,” lawyer Ampofo maintained. The former Finance Minister who was goaled for willfully doing an act with the intent to cause financial loss to the state, was transferred to the Sekondi Prison in the Western Region days after a disclosure by Information Minister Nana Akomea that a plot that sought to implicate some unnamed ministers in the Kufuor administration in the murder of the 34 women had been unearthed. Nana Adjei Ampofo maintained that the allegation was just calculated to damage the hard earned reputation of his convicted client in the eyes of the good people of Ghana. He told the Network Herald that his client has consistently denied ever meeting Charles Quansah in his life and has therefore instructed him to take legal actions against the government for defamation. He recalled visiting his client at the Nsawam Prisons days after the announcement by Minister Akomea during which visit he obtained an emphatic, almost sworn denial from Mr. Peprah that he had never met Quansah in his life. Mr. Peprah apparently described the allegations as absurd and unmeritorious and expressed his willingness to appear before any independent judicial committee to prove his innocence in the matter. He was certain that there was no way the incumbent CID boss could have come out with a report different from the position of government days after he had been promoted from Chief Superintendent to director of CID He therefore challenged government, the Ministerial Committee and the Prisons authorities to arrange a meeting with Charles Quansah and the said Prisons Officers who made the allegations for a confirmation of the alleged plot in his (lawyer's) presence. 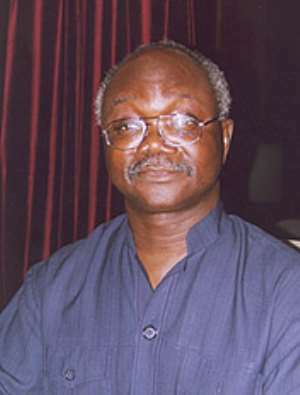 Minister for Information Nana Akomea had at a Press Conference in August last year, announced that the security agencies had conducted interim investigations into alleged meetings between Charles Quansah, Victor Selormey and the Quality Grain convicts then in jail at the Nsawam prison in order to coach him to implicate functionaries of the present government as partners in the heinous crime. At the said press conference Nana, exhibited what he claimed was an interim report into the investigation and promised to make available a fuller and detailed report when the investigation into the matter was completed. In our subsequent publication, convict Quansah is longing to petition the authorities for an independent enquiry into his conviction for the murder of one out of nine persons he allegedly confessed to killing. Book advance copies of the reliable Network Herald.